Non Farm Payroll (NFP) How to trade Profitably and what Non Farm Payroll trading Strategy can I use? In this opportunity, allows us to share with you some information about NFP forex and how to trade forex news. Let us demonstrate how Platinum members take advantage of this event every month resulting in hundreds of pips from a simple strategy named aptly as “The News Trading Strategy”. The NFP is released by the US Department of Labour. The report is usually published on the first Friday of every month. The data in the report is an indicator of the employment situation in the US. It measures the change in the number of newly employed people in the US, excluding workers in the farming industry. A number which is higher than the market forecast is considered Bullish for the US Dollar and lower than the forecast is Bearish. The release of Non Farm Payroll report is a trading event that can move the currency pairs such as the Euro (EUR/USD) up to 100 pips in a minute. If you are new to Non Farm Payroll Forex, you need to understand that the release of the Non Farm Payroll reports every month is a market moving event. The Progress of the US Economy is measured by 12 major fundamental events and the Non-Farm payroll is a leading indicator that measures the job creation aspect of the economy. The Non Farm Payroll (NFP) report provides information about the change in the number of employed people during the previous month, excluding the farming industry. Job creation is an important leading indicator of consumer spending, which accounts for a majority of overall economic activity. Most professional traders are waiting for the event this week. The Dollar has been taking some heavy punishment over the last few weeks and this could be the turning point for it moving forward. Platinum members look forward to trading the Euro on the 4th buy or sell zone on Non Farm Payroll for stop hunts and trend reversals with 20 pips stop losses. What happened Previously and how does Non Farm Payroll affect Forex? According to the report released in August for the month of July, the Non-Farm Employment Change produced better figures than expected to balance the equation again and reaffirming the strong trend on the labour market which had come from a good result for June which reported the creation of 222K jobs later being revised to 231K. The August report came out at 209K against a forecast of 182K. Fundamentals is a big part of trading and sentiment is built on market trends. Since we should be at present past full employment in the US Economy, that characterizes a robust pace of job growth which should begin to ease. So far, each of the business survey employment indexes did pull back in the month of July, potentially signaling a softer pace of growth in August. Even though not much changed and all should be well above their long-run average levels, therefore, even if growth does slow down, it will still remain very strong. Platinum Trading Analysts expect a 175k gain in August. Do trade the NFP with caution. The expected number for April in the NFP report to be released this Friday is 180K. The deviation figure to trade the NFP is +45/-45. If the actual number on NFP is above 225K compared to the estimated 180K, sell the EUR/USD with 25 pips stop loss. If the actual number on NFP is below 135K compared to the estimated 180K, buy the EUR/USD with 25 pips stop loss. The expected number is 180k. The deviation to trade the Non Farm Payroll is +45/-45. If the NFP number is above 225K, buy the USD/JPY with 25 pips stop loss. If NFP number is below 135K, sell the USD/JPY with 25 pips stop loss. Important Note: Always keep an eye on the market news and feeds in order to trade the event with proficiency. For Platinum members, it would as easy as logging on and having the “Institutional News Feed” open. Always keep the Institutional News feed open. Make sure you have your eyes on the clock. As soon as the news event comes out there will be a spike. The objective is simple: Go long or short in the 4th buying or selling zone of the day with 20 pips stop loss. We are looking for 30 pips reversal from this with a 20 pip stop loss. Regardless of the result of the trade, this will be the only trade on the system for NFP. Time for the trade to be taken is between 13:30 and 13:45. The trade is invalid after this time. You must be there live to take the trade on 4th trading zone. Be careful of being in trades an hour before and after NFP. Trade the 2nd level zones and trade the range prior to 12:00. Do not trade USD/CHF on NFP days. To trade the news event, trade 4th buying or selling zones on the actual news event with a 25 pip stop loss and 30 pips take profit. Trading on Non Farm Payroll (NFP) days is a VERY high risk and many traders get chopped up trying to call the turn. Do not worry too much if you take the trade or don’t take the trade, there will be plenty more coming our way. By any chance, if you are a new trader and would like to learn how to trade, then sign up today to our 2-day free Foundation to Forex Trading Course. We have just introduced this as in the last month we have had a lot of inquiries on learning how to trade the financial markets. We can get you on the successful path of becoming a Financial Trader. Hopefully, you have enjoyed today’s article as much as I have enjoyed writing it and have gained great knowledge about trading and how to trade. 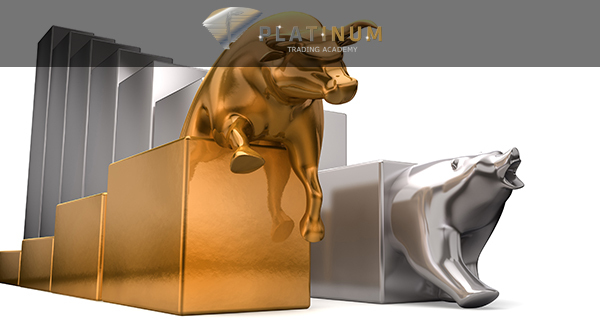 At Platinum, we teach all individuals from different walks of life to become a full-time trader or create a secondary revenue stream by trading part-time. We trade in an Institutional Way by letting the market come to us and being patient. Using Platinums Trading system you can take many Pips out of the market. We can ensure using this style of trading your trading will make a turnaround as you will become much more consistent.